It took Greek police a while to realize that crimes were being committed IRL. The dawn of March 6th, anti-terrorist units of Greek Police began with arrests of people who allegedly participated in criminal neo-Nazi organisations. Until March 11th a total of 7 suspects were charged with participating in the so-called “Combat 18 Hellas” (C18) and “Unaligned Maeandrist Nationalists” (AME), both extremist nationalist organisations, and with other crimes. Four of the suspects remain in custody. 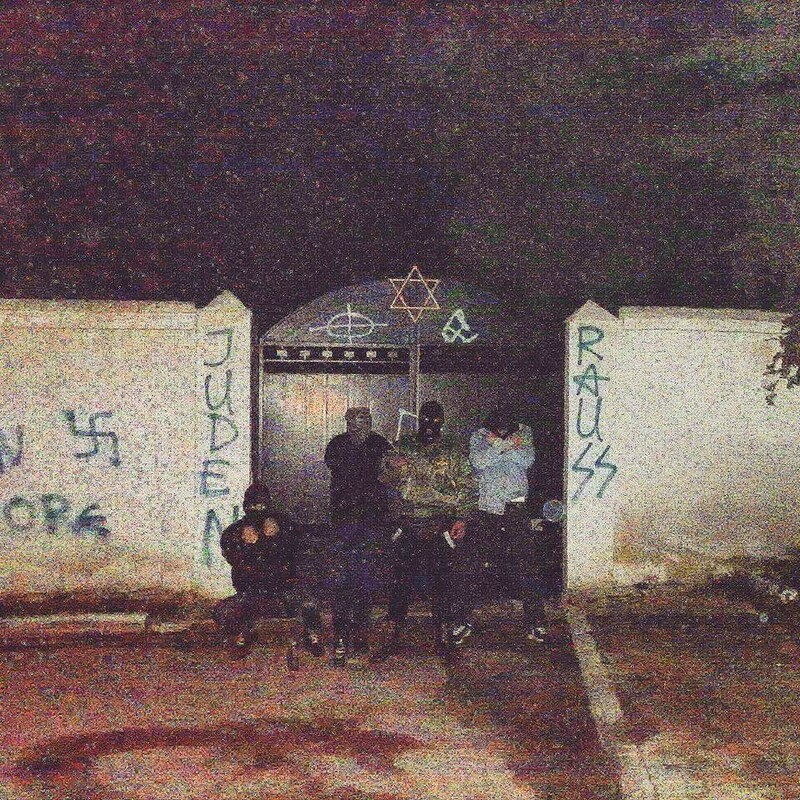 Their actions involve approximately 30 arson attacks mostly against anarchist and leftist squads and memorial vandalism, such as at the Athens Jewish cemetery in 2015. While before the arrests, C18 and AME hadn’t been famous in the news, their activities were very well observed and documented by tireless bloggers and online watchdogs. It’s not that the neo-Nazi organisation wanted to keep a low profile. On the contrary, the organization published videos on Youtube of the attacks and openly claimed responsibility for them. Combat 18 Hellas (C18) and AME’s criminal targeting towards people and property was openly published on the internet. Yet, the Minister of Citizen Protection, Mr Nikolaos Toskas, stated in a parliament meeting in 2015, regarding an MP’s question about the reluctance of authorities to take legal action, that they cannot proceed with arrests for anti-Semitic vandalism incidents, because, not only Greek but also other countries’ legislation is insufficient to deal with online delinquency. However, the crimes were far from just being online occurrences. The webpage xyzcontagion.wordpress.com as well as the Greek Helsinki Monitor (EPSE) greekhelsinki.wordpress.com, gathered enough leads to bring the criminal cases to court. After the bloggers’ notable investigations, a court case was finally filed, which slowly led to the arrest of Neo-Nazi perpetrators in March 2018. XYZ Contagion, a Greek investigative blog, monitors the local far right for years. As they told AthensLive “We had always have the Blood & Honors movements in the microscope, we read their magazines, got informed about their concerts, etc. When we first noticed that (C18/AME) passed from slogans and paintings to violence against people and property, we started monitoring them more intensely”. Naturally, the two neo-Nazi organisations, C18 and AME, which seemed to have strong affiliations, if not being actually one entity, started becoming mutually interested for XYZ Contagion’s publications. In the summer of 2015, Combat 18 Hellas/AME upgraded their actions introducing Molotov cocktails and other explosive materials. “Then, in the autumn of 2015, we said that something had to be done, we gathered whatever material we had, sent people to photograph cemeteries and other places that (the organisation) had attacked to” says XYZ Contagion adding “we also received material and pictures other people had taken and we finally put them all in an article”. The SYRIZA MP, Christos Karagiannidis who brought the case of Combat’s 18 Hellas activities to the Greek Parliament relied on the work the bloggers had carried out. At that time the Greek Observatory of the “Helsinki Federation of Human Rights” (Greek Helsinki Monitor — EPSE) had conducted equivalently thorough research on the activity of C18/AME and as XYZ Contagion puts it, “Credits mostly go to EPSE”, for pushing the case to the Public Prosecutor and constantly writing to the General Secretary for Human Rights. Panayote Dimitras, spokesperson of EPSE, described to AthensLive the delays in procedure and major omissions regarding the charges: “There has been an unacceptable negligence since the filing of the first and main complaint against AME/Combat 18 in November 2015. Twice the Athens prosecuting authorities have filed the complaint, as well as a subsequent Greek Helsinki Monitor (EPSE) complaint and a few other complaints to the archive of unknown perpetrators, refusing to seek judicial cooperation of the US, where Google has its headquarters, but also refusing to investigate activities of known individuals who had direct or indirect links with these groups”, Mr. Dimitras reveals. “It is telling that both operations leading to the dismantling of these groups were carried out by the counter-terrorism police, which, as they leaked to the media, at some point took over the investigation having evaluated that it had not been thoroughly carried out until then”. It is not certain –and rather unlikely- that Combat 18 Hellas is the Greek delegation of the homonymous organisation that was first initiated in UK, given also that the Greek B&H skinhead scene in Greece is relatively small, as the XYZ Contagion notes. Besides, Golden Dawn (GD), the major Greek neo-Nazi organisation and legitimate political party, was the first to introduce C18 to the Greek nationalist audience, through the Golden Dawn’s youth magazine “Antepithesi” (Counterattack), in November-December 2001. Kostas Skarmeas, attorney in the Golden Dawn trial in favor of the Afghan fishermen that were attacked by GD members, told AthensLive that while there is insufficient evidence to prove a top to bottom and well established connection between GD and C18/AME, one could say that they are communicating vessels, based on undeniable facts. “Until 2013, [hate] attacks were conducted only by GD - there wasn’t any other organisation to claim the responsibility”, Mr Skarmeas told AthensLive. “In 2013, when the whole leadership of Golden Dawn was arrested, we saw a clear decline of violent incidents against immigrants, anarchists and antifascists. Since GD withdrew their street battalions because of the trial, the gap seems to have been filled by C18/AME. As evidenced by the court case publication, C18/AME seems to be in direct correspondence with Golden Dawn via a liason. For example, there are published evidence that Spyros Metallinos, one of the detained suspects who participates in C18/AME, is still an active GD member. There are pictures of him from 2017, giving speeches in the GD’s department in Piraeus, or he is photographed with GD’s MPs” he concludes. Apart from the connection among perpetrators of these two groups and the similarities between GD and C18/AME’s ways of action, C18 has admitted its admiration for the infamous deputy head of GD in the 1990s, Periandros Androutsopoulos, who after serving sentence for crimes related to his GD role, has since stepped down. The public acknowledgment of a member that has broken with Golden Dawn could have various interpretations. For attorney Kostas Skarmeas, this indicates the level of close proximity among the organisations, rather than distance. As Mr Dimitras concludes “both AME/C18 and Apella (another Nazi group that police dismantled earlier this year), have a key member each with known recent involvement in Golden Dawn, which has not denied the related information for both cases”. 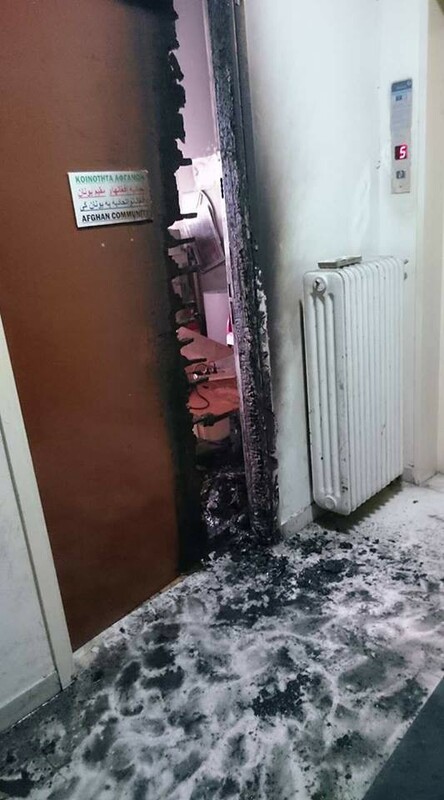 On Thursday, March 22nd, another neo-Nazi organisation, Krypteia, attacked the headquarters of the Afghan Community in Greece causing severe damage to their offices. Luckily, no people were there at the time. On the same day, the bell at the Hellenic League for Human Rights rang and through the doorphone a voice warned the employee who answered “We are from Krypteia and we are here to sing you the carols. (We will sing them to you) in the streets or whenever we find you”. Hence, the crucial aspect in the story might be who finds whom, first. If you enjoyed this article, feel free to hit that button to help others find it!